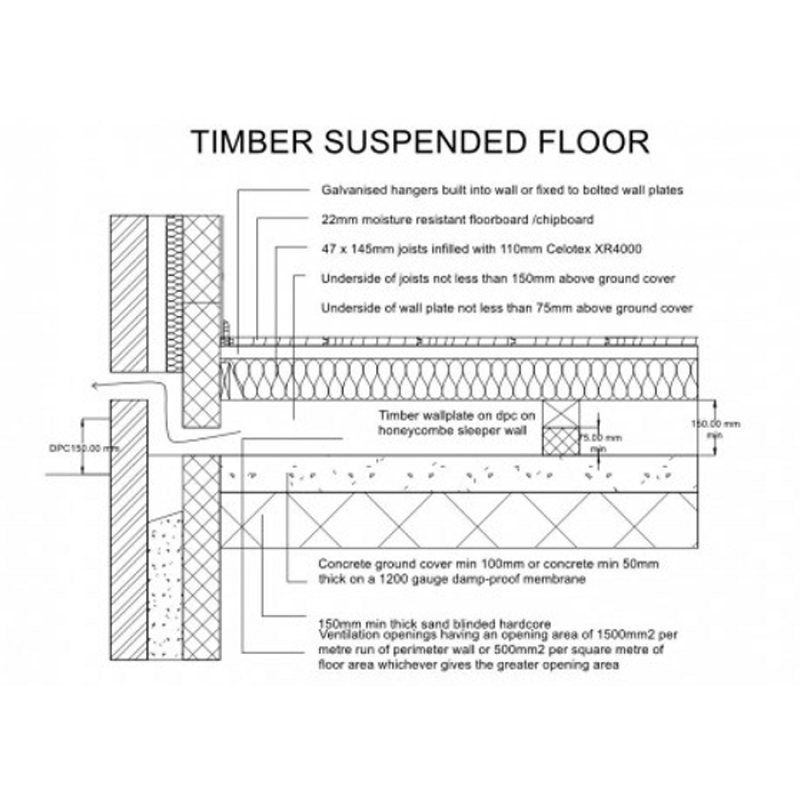 A pack of over 240 CAD detail blocks for the most common requirements for building regulations. Supplied in both DXF and DWG format the details in this pack will be appropriate for submissions in England and Wales. 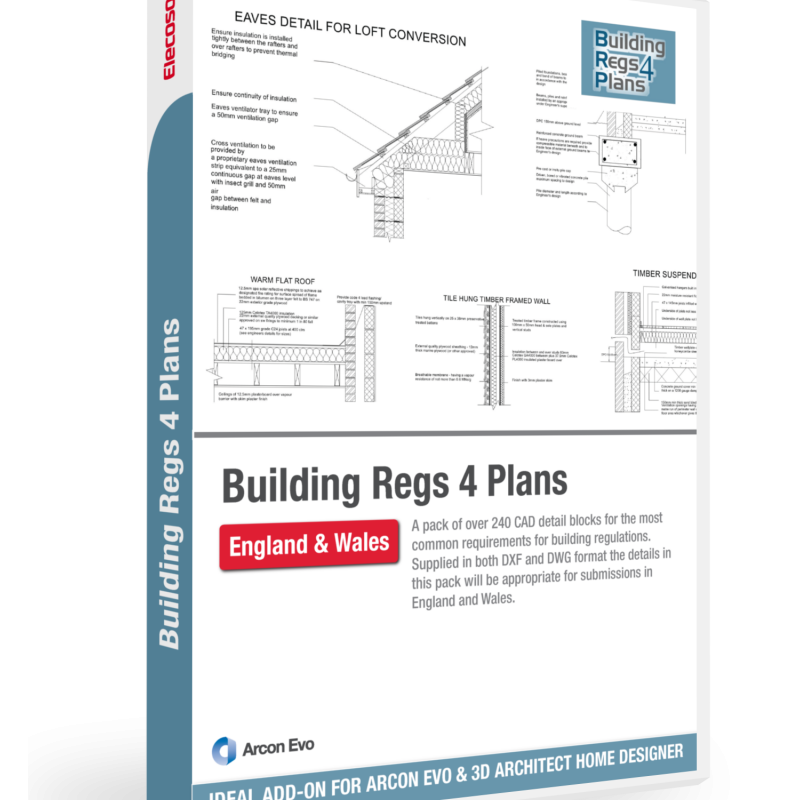 To help meet building regulation standards and obtain approval from building control, a new pack of construction details is now available to anyone wanting to create technical and detailed working drawings for house extensions, flat conversions, loft and garage conversions, new builds, self-builds, garage builds. 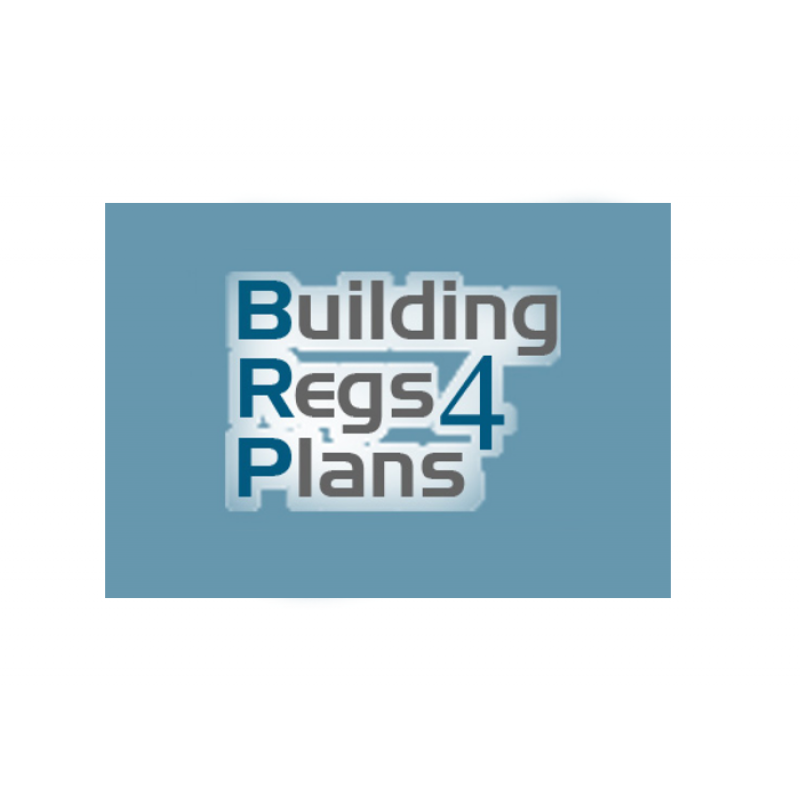 By teaming up with BuildingRegs4Plans, Eleco is now able to offer our software users an extensive selection of construction detail drawings for loft conversions, foundations, floors, walls, roofs, timber frame, drainage, windows & doors, internal works, structure etc. 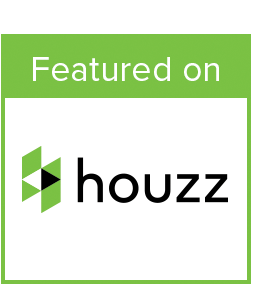 All details are available in both DWG and DXF file formats. 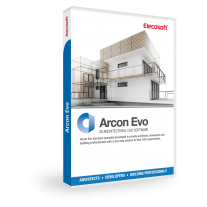 This new pack of 245 detail drawings is an ideal add-on for the latest range of professional CAD software Arcon Evo and 3D Architect Home Designer Pro. 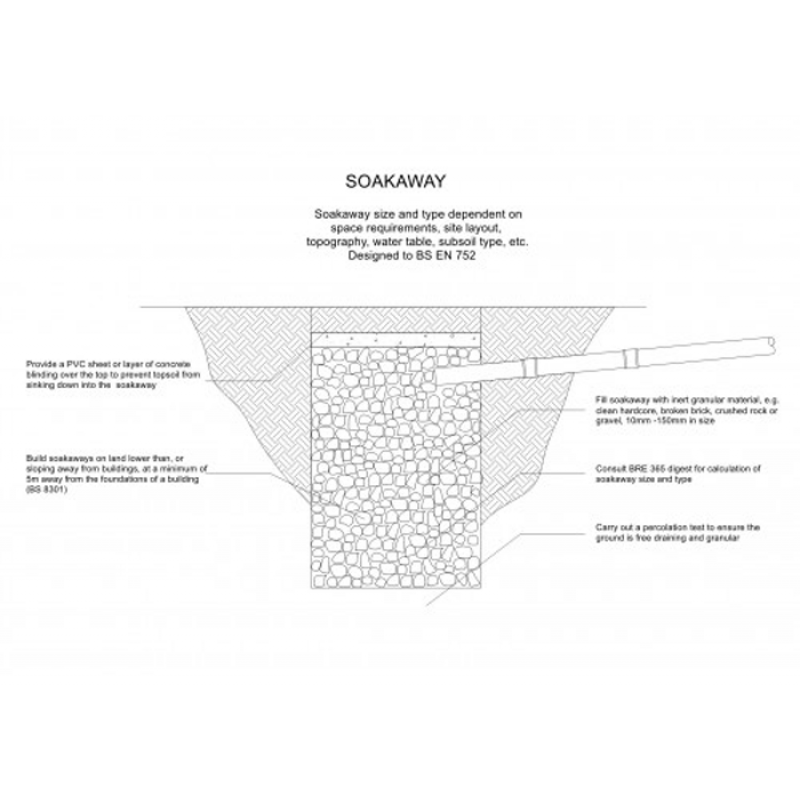 Simply select a CAD detail from library and import a CAD detail directly in to working drawing. 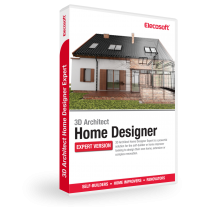 All CAD details are fully adaptable and can be modified further in software using the advanced 2D editing tools. 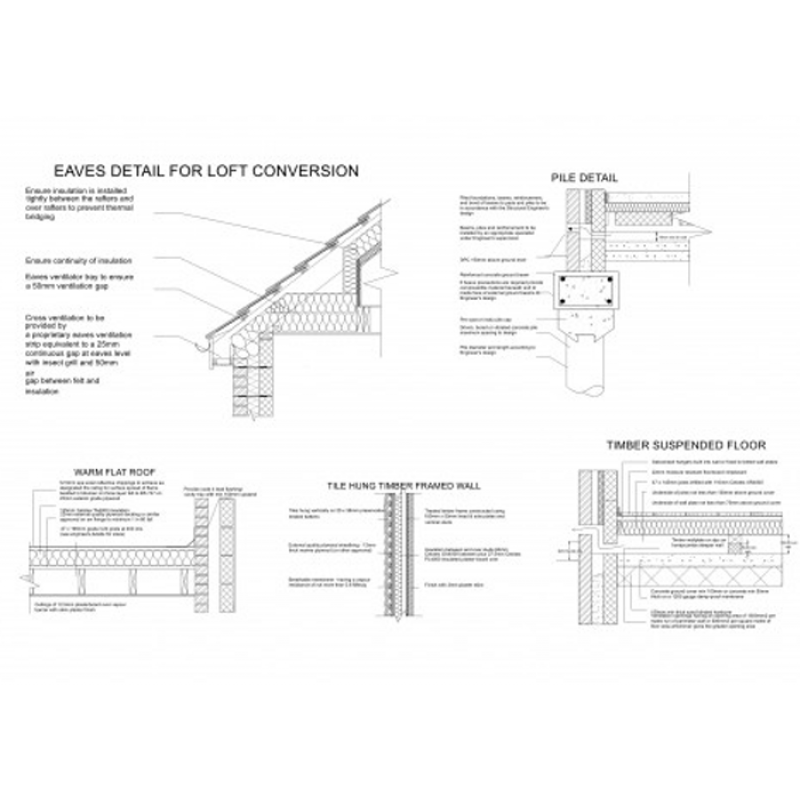 Note: The detail drawings in this pack are applicable to work in England & Wales only. 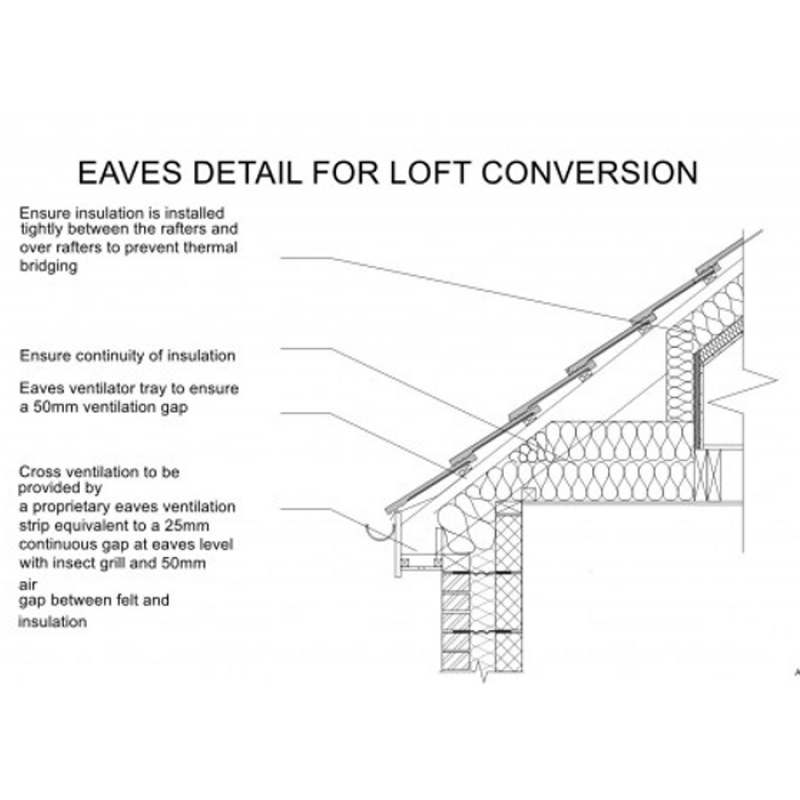 However, where there is a difference in requirements, separate drawings have been produced for both (prefixed 'Wales' for easy identification) to ensure the correct ones are used. 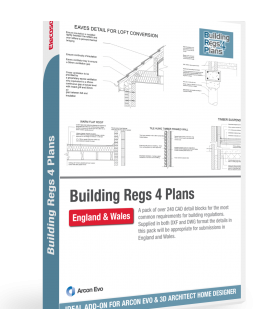 Building Regs 4 Plans drawings are supplied in DXF and DWG format and are compatible with most CAD systems that can open or import this format. 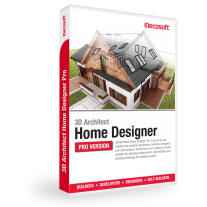 Arcon Evo and 3D Architect Home Designer range customer can benefit from the excellent CAD import function to ensure these details open directly in their plans. Users of older versions of classic Arcon may find that some of the details need to be converted to an older DXF file format before they can be imported in Arcon/Creative Lines. If you are unsure how to acheive this please contact us for help.